Usually at the time of morning, I’m putting the macaroni and cheese in the oven. Dessert is ready. Green beans are simmering and peeled potatoes wait for the heat. Grandboys play with bowls and wooden spoons nearby. But today, I rest. My husband and I have taken a much needed weekend getaway. We woke to birds singing. 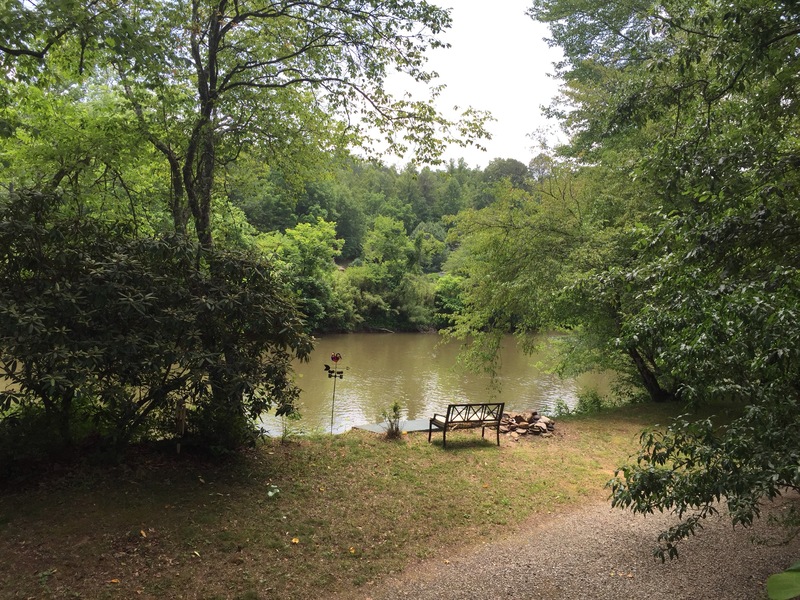 Sitting on the porch, we felt the cool breeze pass over us and watched as the leaves of trees swayed and the water of the nearby river rippled. The sun beams, but the air doesn’t have the mugginess of home that comes with the approaching summer. Next week is Father’s Day and our anniversary. We chose to celebrate our anniversary a little early. Last night we enjoyed a delicious dinner at Lucia’s. Afterwards we sat on the porch as lightning bugs made their sparkling appearance. My husband shared that the first time he saw fireflies, he thought he was imagining things until reality set in and he realized what he was seeing. He’s from California and it was new to him. Sometimes we need to pause from all of life’s busyness and experience the beauty of the world we live in. Next week I’ll be back in the kitchen preparing family favorites and celebrating the fathers in my life: my dad, husband, and brothers. My brother loves to say it is the best day ever. I might even make his favorite, fried okra. Thank you for sharing. Glad you got out of town for some R&R…sounds delightful!